On Thursday, the “Trump, Inc.” team gathered with laptops, pizza and Post-its to disconnect — and to read special counsel Robert Mueller’s report. What we found was page after page of jaw-dropping details about the inner workings of the administration of President Donald Trump, meetings with foreign officials and plots to affect our elections. But we also found rich details on how Trump ran his business dealings in Russia, itself the subject of our on his Moscow business partners. It backed up a lot of our earlier reporting: The deal with Andrey Rozov, a relatively unknown developer whose claim to international prominence was the purchase of a building in Manhattan’s garment district, did go further than agreements with other developers. The type of development they were hoping for would need signoff from Russia’s powers that be — namely, President Vladimir Putin — potentially putting Trump in the position of owing favors to a hostile foreign power. And the deal went on longer than the Trump campaign wanted the public to know, with the then-candidate rebuffing Michael Cohen’s concerns about the accuracy of his portrayal of his relationships with Russia. Here are a few of our takeaways: The deal was bigger… The Mueller report puts the terms of Trump’s most infamous Trump Tower deal side by side with a failed prior deal with the family of Russian pop star Emin Agalarov. In doing so, it proposes an answer to why Trump chose to move forward with Rozov: he offered Trump a much better deal. In fact, Cohen said the tower overall "was potentially a $1 billion deal.” Under the terms of the agreement, the Trump Organization would get an upfront fee, a share of sales and rental revenue, and an additional 20% of the operating profit. The deal offered by the well-known Agalarov developers, in contrast, would have brought in a flat 3.5%. We’d tried to reach Rozov to talk about the deal for our earlier reporting. He never responded. For Trump, this agreement promised to be the deal of a lifetime. There were more Russian contacts… The report says Cohen and Felix Sater, a fixer who brought the Trump Organization together with the potential developer for the Moscow deal, both believed securing Putin’s endorsement was key. There was also plenty of outreach from Russians, many of them offering to make that very connection. But even as the two were figuring out how to pitch the tower plan to Putin, at least three intermediaries who claimed to have connections to the Russian president were reaching out to Trump and his associates. They promised help with Trump’s business interests and his campaign, the report says. One was Dmitry Klokov, whom Cohen looked up online and mistakenly identified as a former Olympic weightlifter. Klokov, in fact, worked for a government-owned electric company and was a former aide to Russia’s energy minister. He told Cohen he could facilitate a meeting with a “person of interest” — that is, Putin — and also offered help creating “synergy on a government level.” But Klokov’s overtures for talks on matters beyond mere business interests were rebuffed by Cohen. The report also clarified that it was Sater who approached the Russian developer with the idea of a Trump Tower Moscow — and later brought his pitch to the Trump Organization. This sequence of events raises new questions about whether the tower deal, which Trump had wanted for decades, was part of the Russian government’s multiple intelligence approaches to Trump and his advisers at the time. One other figure in our previous Trump Moscow episode surfaced again in the Mueller report: Yevgeny Dvoskin, a Russian national with a U.S. criminal record and alleged ties to organized crime. Dvoskin is now a part-owner of Genbank, a small Russian bank sanctioned by the U.S. Treasury. He grew up in Brighton Beach at the same time as Sater, who, in 2016, called on Dvoskin to invite Trump and Cohen to Russia for an exploratory visit. To arrange the invitation, Dvoskin asked for copies of Cohen’s and Trump’s passports, which Cohen was happy to provide. The Mueller report says that Trump’s personal assistant even brought Trump’s passport to Cohen’s office, but that it is not clear whether it was ever passed on to Sater. Sater declined to comment for the podcast. Genbank and Dvoskin did not respond to earlier requests for comment. And there was more cover-up… Mueller describes continued efforts to mislead investigators and the public about the Trump Moscow deal and associates’ contacts with Russian officials. Many of the details are gleaned from Cohen’s cooperation. Cohen confronted Trump after he denied having business ties to Russia in July 2016 and pointed out that Trump Tower Moscow was still in play. “Trump told Cohen that Trump Tower Moscow was not a deal yet and said, ‘Why mention it if it is not a deal?’” according to the Mueller report. To maintain Cohen’s loyalty during the investigation, multiple Trump staff members and friends told him the “boss” “loves you,” according to the Mueller report. “You are loved,” another associate told him in an email. Cohen also said the president’s lawyer told him he’d be protected as long as he didn’t go “rogue.” The report concludes that active negotiations in Moscow continued into the summer of 2016. Cohen told Mueller’s team that the project wasn’t officially dead until January 2017, when it was listed with other deals that needed to be “closed out” ahead of the inauguration. After admitting to lying to Congress about when the Moscow deal fizzled, Cohen told Mueller about the “script,” or talking points he’d developed with Trump to downplay his ties to Russia. He also said he believed lawyers associated with his joint defense agreement — including attorneys for the president — edited out a key line about communications with Russia from his congressional testimony. The offending line: “The building project led me to make limited contacts with Russian government officials.” You can contact us via Signal, WhatsApp or voicemail at 347-244-2134. about how you can contact us securely. You can always email us at tips@trumpincpodcast.org . And finally, you can use the Postal Service: Trump, Inc. at ProPublica 155 Ave of the Americas, 13th Floor New York, NY 10013 “Trump, Inc.” is a production of or wherever you get your podcasts. In this Trump, Inc. podcast extra, we talk about what we know, what we don’t know and what we still want to know after Attorney General William Barr gave his summary of special counsel Robert Mueller’s report. Trump, Inc co-hosts Andrea Bernstein and Ilya Marritz joined Maya Wiley , professor at the New School and MSNBC Legal Analyst on WNYC’s Brian Lehrer show to review the on-going investigations. Collusion was never the only thing. For the last year and a half, we have been looking at the conflicts of interest that pervade President Donald Trump’s administration. That trail has led us from , where we reported on how Trump’s associates appealed to the Kremlin for help at the same time the Kremlin was preparing an attack on the 2016 elections. 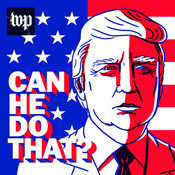 And Andrea Bernstein also talks with Eric Umansky , Trump, Inc. Editor and Deputy Managing Editor at ProPublica, about how to interpret what we know (and don't know) about the special counsel's report. This week, we’re exploring President Donald Trump’s efforts to do business in Moscow. Our team — Heather Vogell, Andrea Bernstein, Meg Cramer and Katie Zavadski — dug into just who Trump was working with and just what Trump needed from Russia to get a deal done. (Listen to the podcast episode here .) First, the big picture. We already knew that Trump had to develop a tower in Moscow while running for president. Former Trump lawyer Michael Cohen has admitted to lying to Congress about being in contact with the Kremlin about the project during the campaign. All of that explains why congressional investigators are scrutinizing Trump’s Moscow efforts. And we’ve found more: • Trump’s partner on the project didn't appear to be in a position to get the project approved and built. On Oct. 28, 2015 — the same day as a Republican primary debate — Trump signed a letter of intent with the partner, a developer named Andrey Rozov, to build a 400-unit condominium and hotel tower in Moscow. In a letter Rozov wrote to Cohen pitching his role, he cited his work on a suburban development outside of Moscow, a 12-story office building in Manhattan’s Garment District (which he bought rather than constructed) and two projects in Williston, North Dakota, a town of around 30,000.We looked into each of them. Rozov’s Moscow project has faced lawsuits from homeowners, some of which have settled and some of which are ongoing, and the company developing it filed for bankruptcy. It remains unfinished. Property records show that Rozov owned his New York building for just over a year. He bought it for about $35 million in cash, took out an almost $13 million loan several months later, made no significant improvements and then sold it for a 23 percent profit. Trump’s former business associate, Felix Sater, who once pleaded guilty to financial fraud and reportedly later became an asset for U.S. intelligence agencies, is listed on the sale as an “authorized signatory.” We did find a developer with a workforce housing project in Williston, as well as approved plans for a mall/hotel/water-park. (The town attracted interest from developers as the center of North Dakota’s oil boom earlier in the decade.) Rozov’s name doesn’t appear on materials relating to the company, but a person familiar with the project confirmed that this is what Rozov was bragging about in his letter. Oil prices cratered and the mega-mall was never built. Rozov did not respond to an email seeking comment. Here is a of the plan: Plans for "Williston Crossing," a 218 acre site in Williams County, North Dakota. (Williston Crossing Major Comprehensive Plan Amendment Presentation/Gensler) • An owner of a sanctioned Russian bank that vouched for the Trump Organization in Moscow had a criminal history that included involvement in a Russian mafia gas-bootlegging scheme in the U.S. Making a business trip to Russia requires an official invitation. According to correspondence published by BuzzFeed, Sater arranged for an invitation from Genbank, a small Russian bank that expanded significantly in Crimea after Russia invaded in 2014. One of Genbank’s co-owners is Yevgeny Dvoskin, a Russian-born financier who grew up in Brighton Beach at the same time as Sater. Dvoskin pleaded guilty to tax evasion in federal court in Ohio for the bootlegging scheme and spent time in prison. He was later deported to Russia, according to press accounts. In Russia, he remained tied to criminal networks, according to . (We were unable to reach Dvoskin for comment.) • We also get a hint about why Trump may have needed the Kremlin to get his deal done. Some of the sites under consideration for a potential Trump Tower Moscow were in historic areas with strict height restrictions. Just a few years before the 2015 letter of intent that Trump signed, Moscow Mayor Sergey Sobyanin pledged to do all he could to prevent the city from being overrun by skyscrapers. If Trump’s deal was to move forward in some place like the Red October Chocolate Factory, one of the spots that was considered, getting around zoning restrictions would need help from the very top. Sater and Cohen were also kicking around a plan to offer Putin the building’s $50 million penthouse, according to BuzzFeed. That need for special help, combined with the potential offer of a valuable asset, raises questions about whether the plan ran afoul of the Foreign Corrupt Practices Act, according to Alexandra Wrage, the president and founder of Trace International, an organization that helps companies comply with anti-bribery laws. “What you describe is certainly worrying,” she said. The Trump Organization, the White House, and Michael Cohen did not respond to requests for comment. For his part, Sater is scheduled to testify before the House Intelligence Committee on March 27. The committee members will undoubtedly have plenty of questions. You can contact us via Signal, WhatsApp or voicemail at 347-244-2134. about how you can contact us securely. You can always email us at . And finally, you can use the Postal Service: Trump, Inc. at ProPublica 155 Ave of the Americas, 13th Floor New York, NY 10013 “Trump, Inc.” is a production of or wherever you get your podcasts. For a year now, Trump, Inc. has been digging into the president’s business. We’ve reached out repeatedly to the Trump Organization with questions. Mostly, we haven’t gotten answers. Yesterday was different. Michael Cohen worked for a decade as the president’s in-house attorney and fixer. In his testimony before the House Oversight Committee, he offered a detailed, insider account of alleged fraud, secrecy and cover-ups. In many cases, what he described connected to the very stories we’ve been digging into: -- How Cohen . -- Evidence of possible , citing issues we revealed.) -- How Trump often changed the value of his assets, sometimes to seem richer, sometimes to lower his taxes, like . Trump, Inc. hosts Andrea Bernstein and Ilya Marritz sat down to review what we’ve learned and what it means for ongoing investigations into the president and his business. Dan Alexander from Forbes joined them. 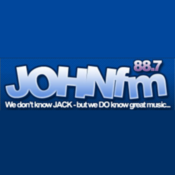 Lyt til Trump, Inc., 88.7 JOHNfm og mange andre stationer fra hele verden med app'en radio.dk.